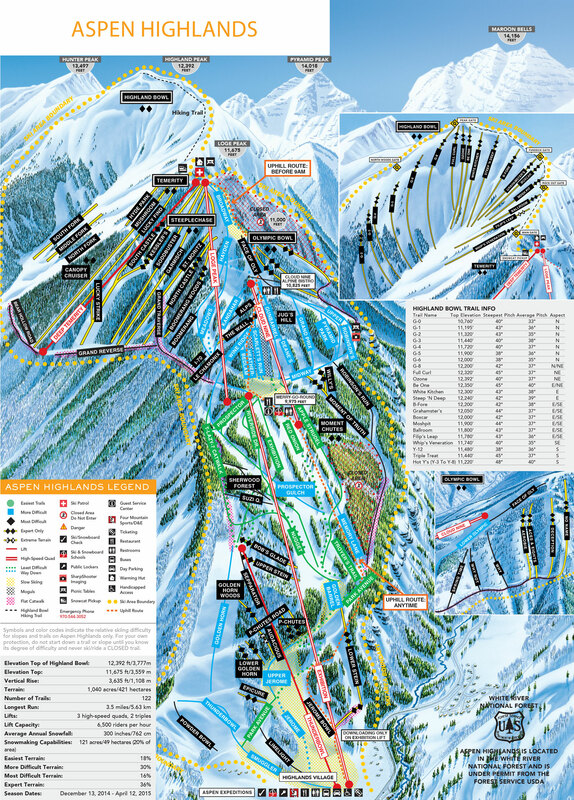 Aspen Highlands is one of the 3 major resorts surrounding the famous skiing and celebrity mecca of Aspen. 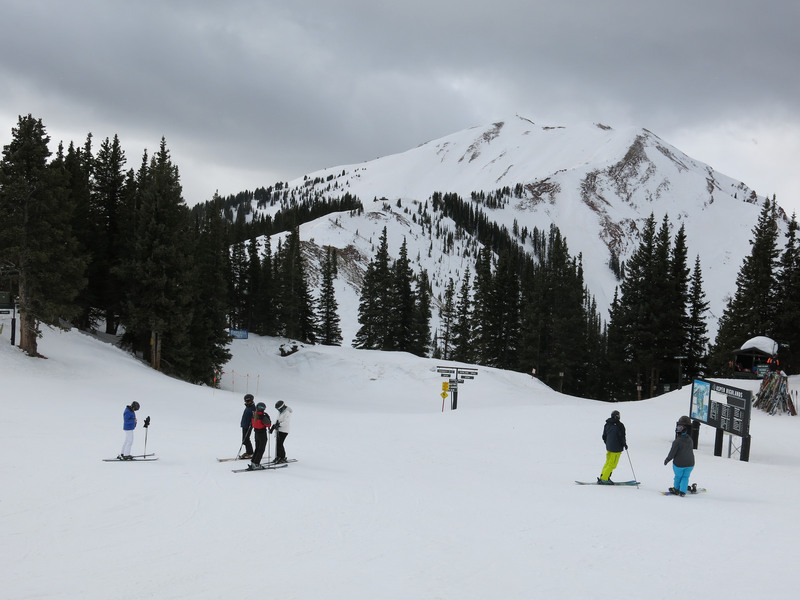 It languished in the shadow of Snowmass and Aspen Mountain for decades, but since the Highlands Bowl hike-to terrain and High Temerity lift opened it’s turned into a popular option. Highlands has always been a favorite of my family going way back to the 60’s. Although it’s pretty small by Western US standards, it’s a very unique layout that results in runs that are more than just straight shots down the mountain. 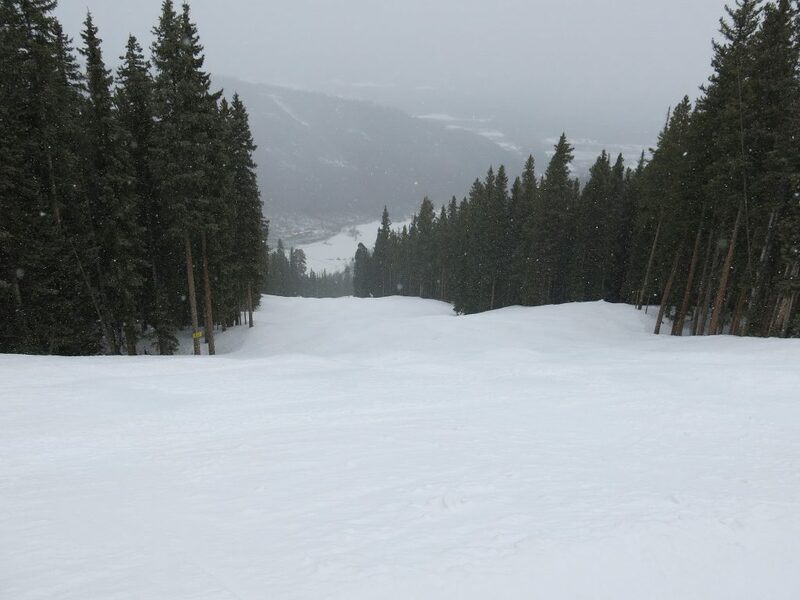 Most of the popular blue terrain is at the top of the mountain where the better snow is. We were there after a long dry spell, and the conditions were not great. 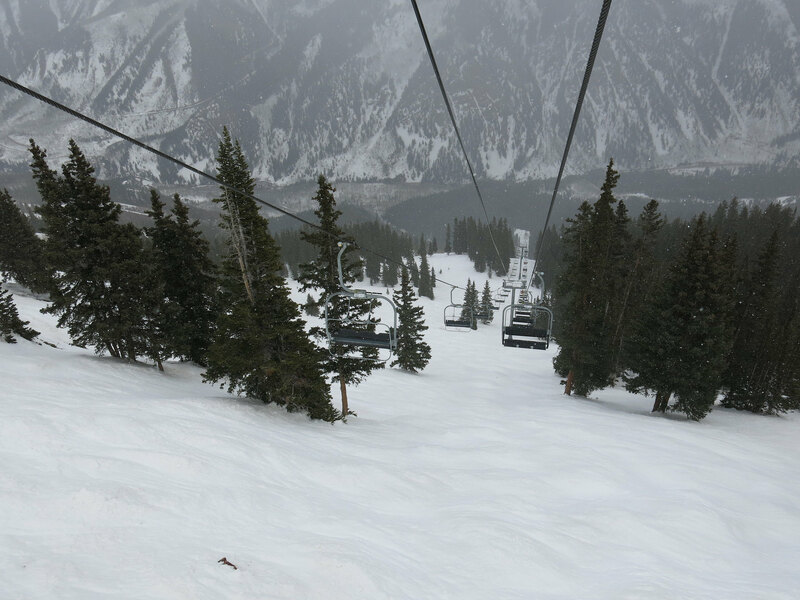 None of the steep bump runs below 11,000 ft. were worth skiing due to rocky or icy conditions. In fact it rained up to 9,000 ft which is very unusual for the beginning of March in Colorado. Still, other than the bottom 1,000 ft. the snow conditions were good on groomed terrain. Above 11,500 ft even the steep stuff was good, but that is hike-to terrain in Highlands Bowl. Part of the appeal of this resort is the sheer steepness of the terrain as it falls off on either side of the ridge. Deep Temerity is one of the steepest chairs I’ve ever ridden. Even skiing the blue terrain from the top will take you along a run where you can look down the really steep stuff which is interesting even if you aren’t going to ski it. There was a group of local school kids getting coached to jump off small cliffs by some instructors, passing along some steep skiing skills to the next generation. There are only 5 chairs here and most people will only ski 3 of them. Starting at the bottom the Exhibition chair rises almost 2,000 ft up to where most of the blue terrain is and where most people spend their time. 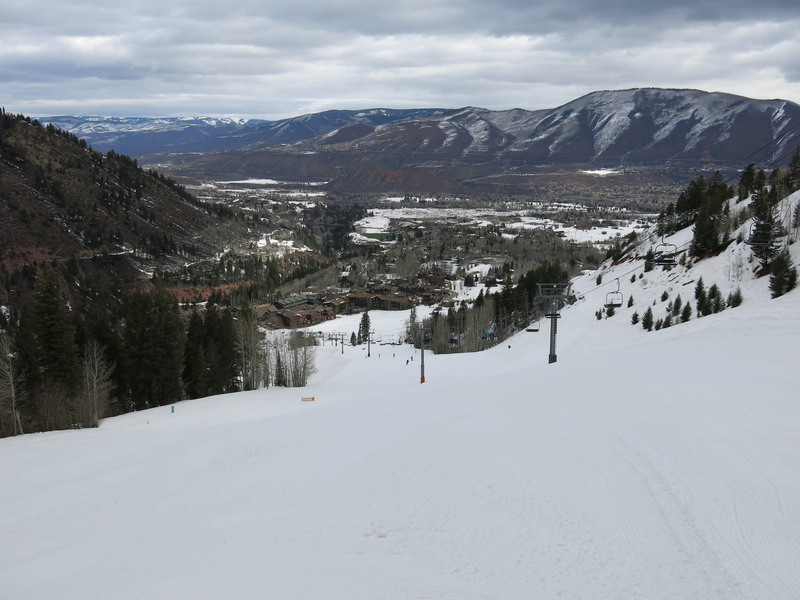 You can ski either steeper green runs or very steep black runs from the chair. They did a good job making some sidehill runs down through the steeper slopes at the bottom for low intermediates to get down without having to wind around on cat tracks, so it’s worth doing a few runs on this chair. The wide-open Thunderbowl and Golden Horn combination are interesting because they are incredibly wide. There is another lift “Thunderbowl” that serves this run and some very steep blacks that were very scraped and almost unskiable when we were there, but it is used mostly by racers practicing gates. 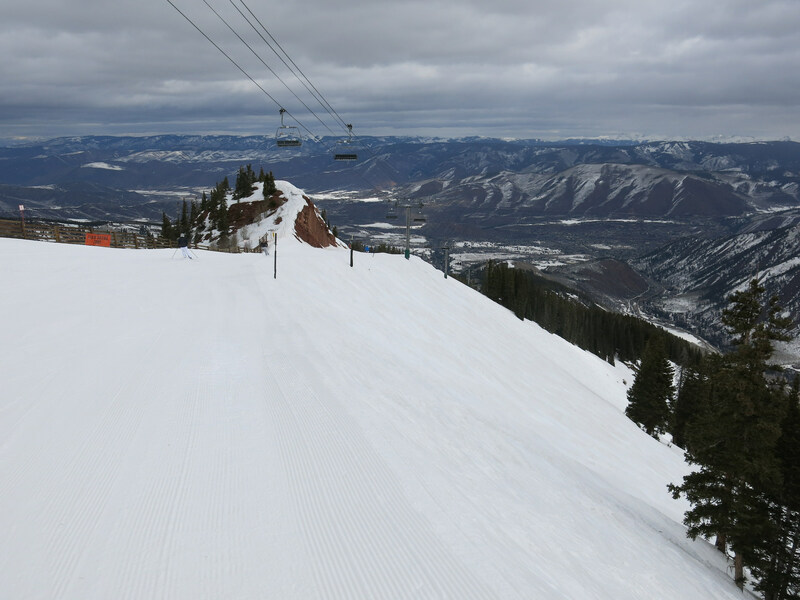 Moving on, the Loge Peak and Cloud Nine lifts serve almost entirely blue terrain on the upper third of the lift-served mountain. These are great runs and they groom almost all of them so there are a lot of them to be had in that zone. The mid-mountain Merry-go-round lodge is where we had lunch and it was reasonable food even though the lodge itself is pretty old. There is also the Alpine Bistro which looks interesting. The only other services are in the modest village at the bottom. 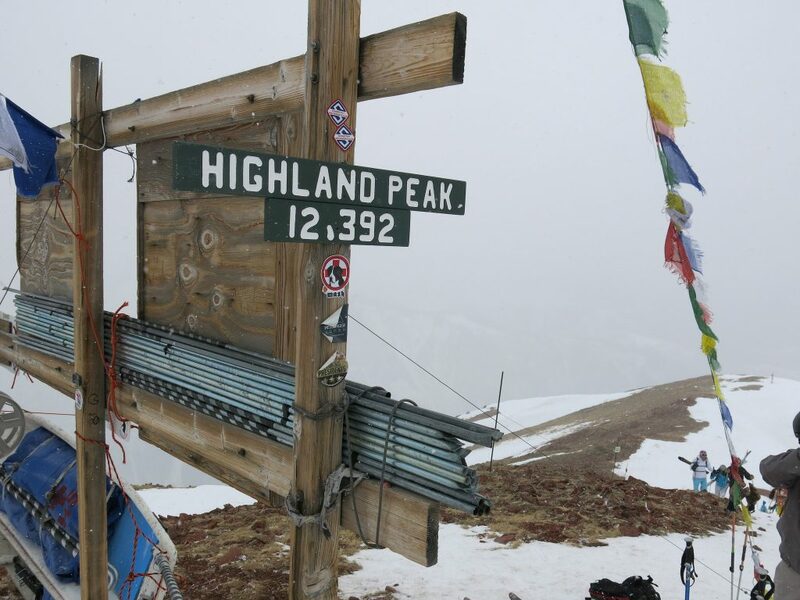 One of the great bucket list items for any dedicated skier is hiking to and skiing Highlands Bowl. The hike itself features a walk along an icy ridge that falls off on both sides in spots, and it’s about 800 ft vertical starting at 11,600 ft elevation. I found it to be a bit scary at times with the strong winds that were blowing, and definitely physically challenging. Highlands Bowl itself is heaven. 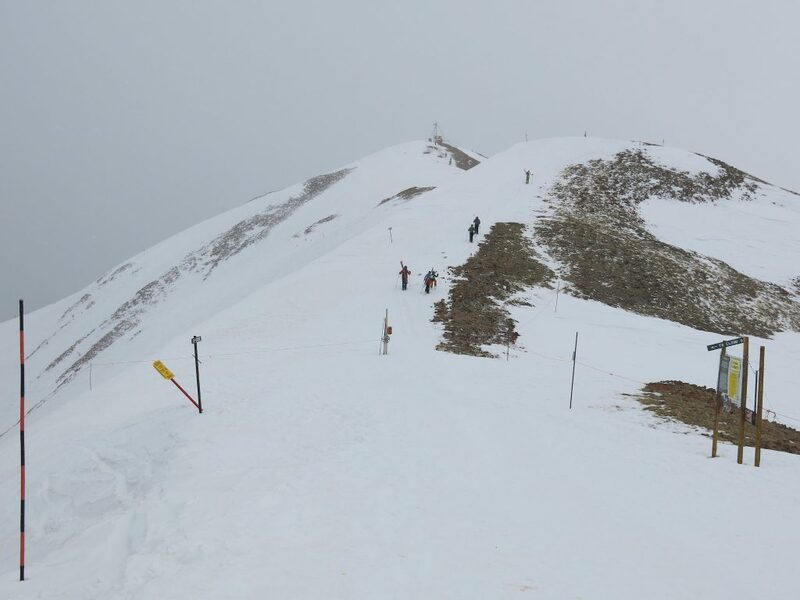 It is a very steady steep pitch that sees little enough traffic that it is mostly smooth and not bumped out. This was a very memorable experience that ends with a ride up the very steep Deep Temerity lift. We really liked our day at Highlands. It’s a unique experience and we actually liked it better than Snowmass even though Snowmass is so much larger. So next time we find ourselves in Aspen I’m sure we will go back.